Body recovered from Mediterranean after woman drowning; paramedics forced to declare death at the scene. 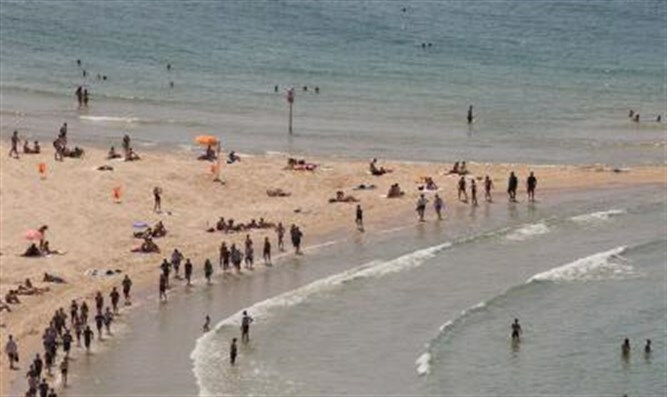 A woman roughly 40 years of age drowned at a Netanya beach Friday morning. The woman’s body was pulled from the water south of Netanya’s Argaman beach. MDA emergency medical first responders were dispatched to the scene. Paramedics say the woman was unconscious and had no vital signs. After examining the body, MDA first responders were forced to declare the woman dead at the scene. “We were [already] at the beach in case of a medical emergency during a sporting event when we received a report from MDA’s emergency 101 hotline about a woman who was pulled from the water [and was now] lying unconscious on the beach,” said MDA first responder David Shusman.